Beijing’s cuisine brings Chinese food to a whole new level. Thanks to the many generations of emperors who kept their courts in the city, Beijing’s chefs created plenty of dishes to keep the royals happy, meaning many of China’s iconic dishes originated here. 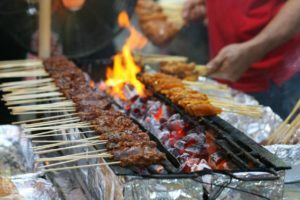 From lavish meals to simple snacks, Beijing’s food will leave you wanting more. China’s national dish was born in Beijing. This crispy duck is pumped full of air, coated in a sweet maltose syrup and then cooked for hours in a hung oven. The result is juicy meat with crispy, candied skin. Beijingers typically eat this duck in savoury pancakes filled with spring onion, cucumber and hoisin, though it’s delicious on its own as well. 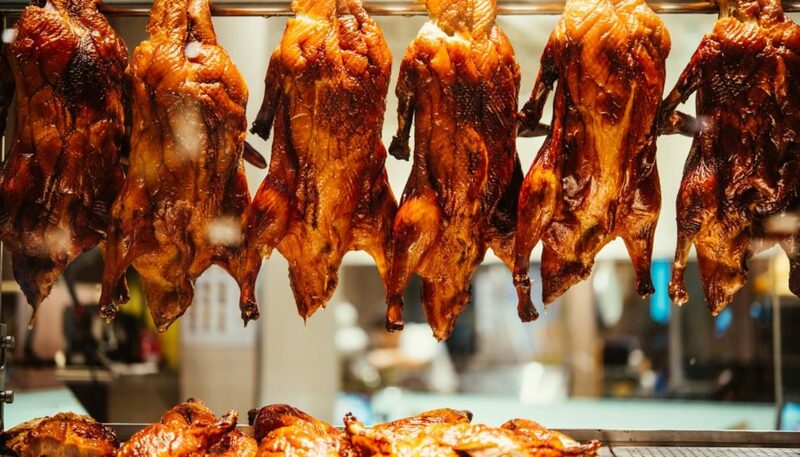 Where to try: Da Dong Roast Duck (Jinbao St 88 or Dongsi 10th Alley) has a huge menu that includes some of the crispiest duck in Beijing. This is a classic Beijing dish that dates back to the Yuan dynasty. 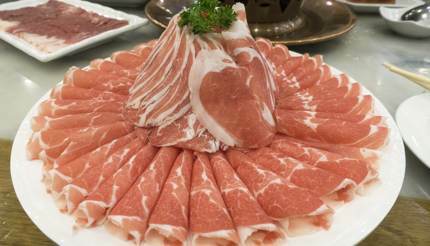 Strips of mutton are cut paper-thin and served raw with a pot of boiling water or soup. Diners cook the meat in the water themselves and then dip it into a sesame sauce. The mutton is usually part of a larger meal called a hot pot, which also includes vegetables, noodles, and sometimes other meats. Where to try: Yi Tiao Long Restaurant (27 Qianmen Street) is famous for their hot pot, which contains instant boiled mutton. This Muslim restaurant serves traditional Islamic food on the second floor and Chinese food on the first. 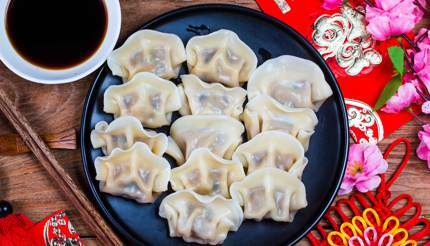 Although they’re considered traditionally Chinese, jiaozi are popular all over Asia. Dumplings usually consist of a ground meat or vegetable filling wrapped in thin dough. Jiaozi can contain all kinds of filling (some even have soup in them!) and can be steamed, pan-fried or boiled. Where to try: Baoyuan Jiaozi Wu (Maizidian St 6) dyes their dumplings rainbow colours using natural ingredients. Even without their unconventional colours, these dumplings will be some of the best you ever eat. 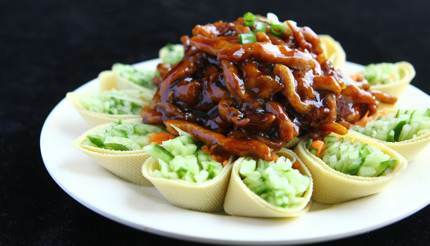 This traditional dish is made with shredded pork tenderloin stir fried to perfection in a sweet bean sauce, sometimes referred to as “Beijing sauce”, and served on a bed of leeks. Where to try: Jin Ding Xuan Restaurant (77 Hepingli Street) may not be a luxury restaurant, but Jing Jiang Rou Si doesn’t need to be fancy to be good. 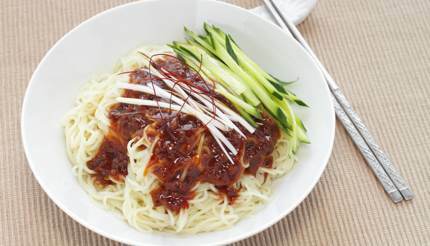 Similar to Jing Jiang Rou Si, this dish is simply noodles cooked in Beijing sauce (a sweet soybean paste). Many restaurants in Beijing put their own twist on this classic meal and use yellow soybean paste, which has a slightly earthier flavour. Where to try: Old Beijing Zhajiang Noodle King (56 Zinglongjie) specializes in these delicious noodles. Maybe you’ve seen videos of the complex process that goes into making this traditional Chinese candy. Sugar and maltose are boiled down then cooled into pliable dough, which is stretched and folded to create thousands of tiny strands that resemble cotton candy. Clumps of dragon’s beard are then filled with peanuts or sesame and served in tiny, bite-sized amounts. Where to try: You’re more likely to find dragon’s beard from a street vendor than in a restaurant. 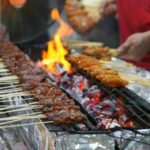 Spend an evening at one of Beijing’s snack markets, like Wangfujing night market (Wanfujing main street), and you’re sure to find someone selling it. This dessert was eaten by commoners and emperors alike in ancient China. 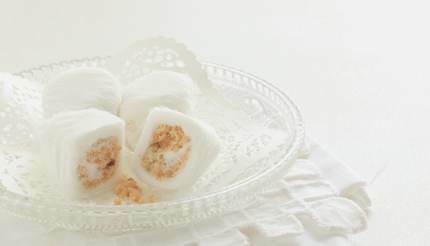 Aiwowo is made from glutinous rice balls sprinkled with sesame and walnut seeds, and is a product of Beijing’s Muslim influences. Where to try: Huguosi Xiaochi (68 Huguosi St.) is a snack restaurant specialising in all kinds of simple Chinese dishes, including Aiwowo. Baijiu, which literally translates to ‘clear liquor’, is a type of Chinese grain alcohol. This drink is typically made from sorghum, and has a remarkable similarity to whiskey. 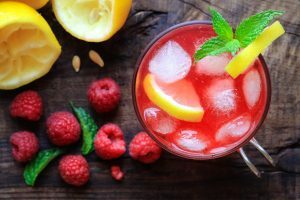 Baijiu isn’t used in cocktails – instead, it’s infused with fruit or herbs and then served with food. 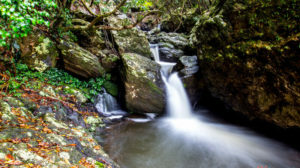 It’s rarely exported, so China may be the only place you can try Baijiu. 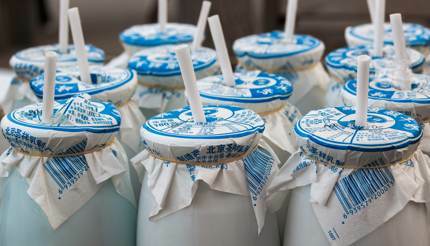 This thin yogurt drink is a popular choice at many of Beijing’s food markets. Milk is mixed with rice wine and honey or sugar and left to ferment in a ceramic jar. Unlike Western Yogurt, this sweet and tangy mixture is drunk through a straw. Where to try: Nai Lao is sold in most grocery or convenience stores in China. 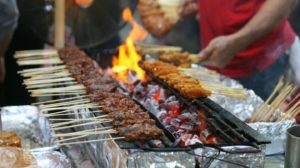 For a truly authentic experience, sample it at one of Beijing’s food markets – make sure to return the ceramic pot, though, or else you’ll be charged. Where to try: Capital Spirits (16 XinSi Hutong) is an entire bar dedicated to baijiu. 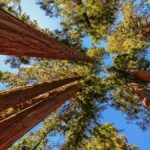 Experts on staff can help first timers through their first taste of baijiu, or you can try out Chinese craft beers and other rare spirits from around the world. This fermented bean drink may be intimidating to most foreigners, but it’s a staple in Beijingers’ diets. 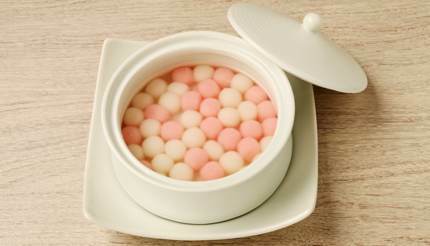 Douzhi is similar to soybean milk, but is instead made from mung beans. 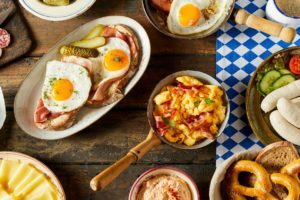 Usually it is served with jiaoquan (fried rings, similar to doughnuts) or drunk on its own. Where to try: Huguosi Xiaochi (68 Huguosi St.) makes douzhi that even Westerners might find appealing.